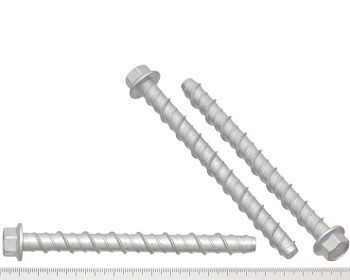 Galvanised hex head masonry screw bolt 10mm diameter by 125mm long. The length is measured from the underside of the head. Class 3 finish to AS3566. Will fasten material up to 75mm thick. Suitable for fixing to concrete or brick. Use a masonry drill bit such as one of these.